Ngakuta Bay nestled in Grove Arm. Aerial view over houses in forest near Ngakutu Point (bottom right), and yachts and vessels moored in the bay. 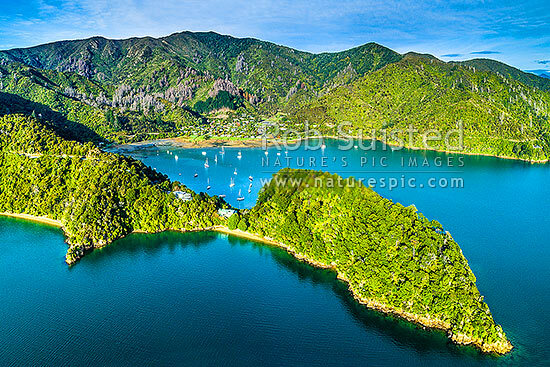 Queen Charlotte Drive, Marlborough Sounds, Marlborough District, Marlborough Region, New Zealand (NZ), stock photo.